You must make reservations at least 5 minutes in advance of the time at La Cipollina. New Jersey Transit buses service the "Freehold Center" terminal which is located a block away from La Cipollina Ristorante. 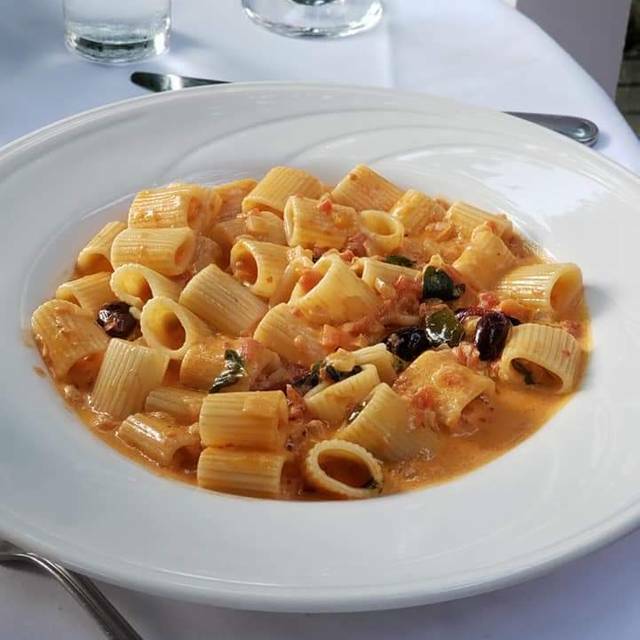 Zagat review: Now at the quarter-century mark, this dependable (if hard-to-find) Freehold Italian BYO maintains its old-world ways with a classic menu of quality items served by an excellent tuxedoed team. 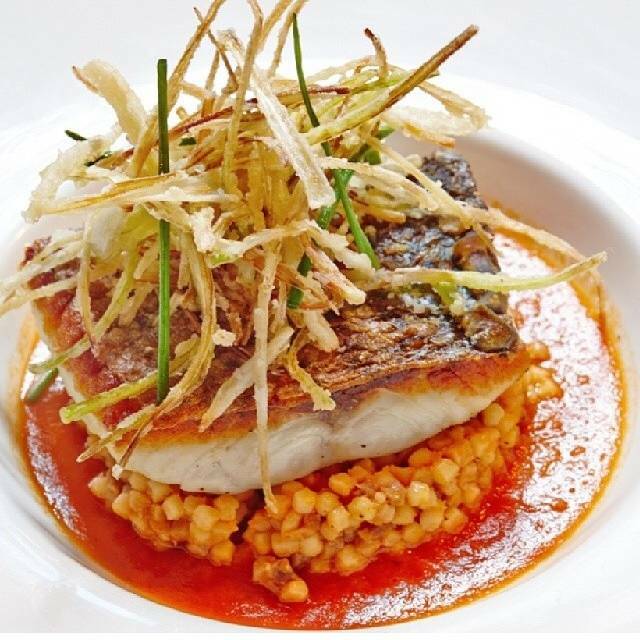 The elegant decor lends it special-occasion status and bargain prix fixe specials keep costs under control. Overall outstanding. Service is great and food is exceptional. Would highly recommend. We went during restaurant week. They were terribly understaffed and also ran out of various selections on the Jersey Shore Week menu. However, everything we ate was excellent. The manager was very accommodating and we really did have a pleasant experience. We will definitely go back another time! Dear Friend, Thank you very much for coming out during restaurant week. We will take your comments back and go over these details with he kitchen and floor in our next staff meeting, to further enhance your next dining experience. We looking forward to seeing you again at the restaurant! As always the food and service were great. Thanks for the 5 star review! Cheers See you soon for dinner! We had a delicious meal and the service as usual was impeccable. The wait staff is courteous and friendly. It was my friends first time there and I know we will be back again soon. I am hoping to get them to a cooking class, which I thoroughly enjoyed. 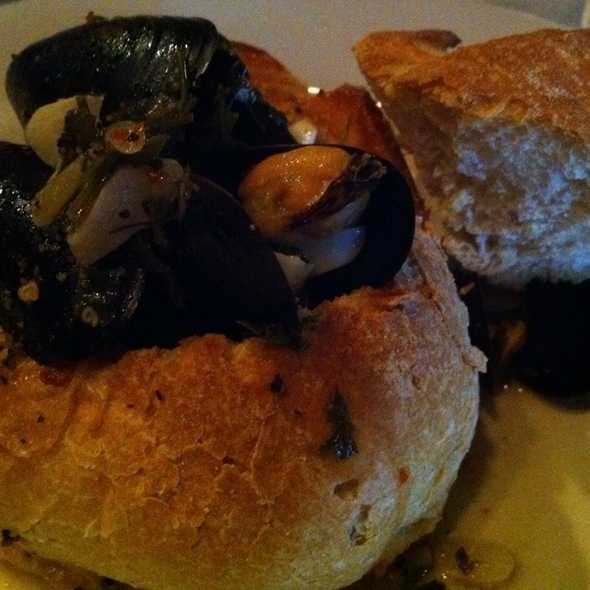 If you are looking for a wonderful food experience, you must go to LaCipollina. Dear Jackie, Thank you so much for the excellent 5 star review. Our work here is extremely rewarding, and kind words from people like you are always appreciated. I will forward your comments to the dining room and kitchen. 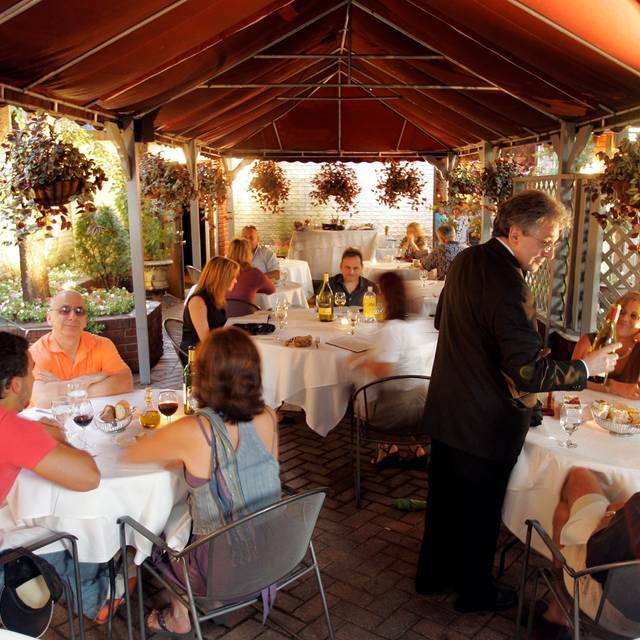 This is one of my favorite Italian restaurants in New Jersey and can compete with the big boys in NYC. This is not a red sauce joint. If that is what you are looking for, go elsewhere. If your idea of going out to dinner is wearing jeans or leggings, go elsewhere. Many patrons wears sport coats in the evening. 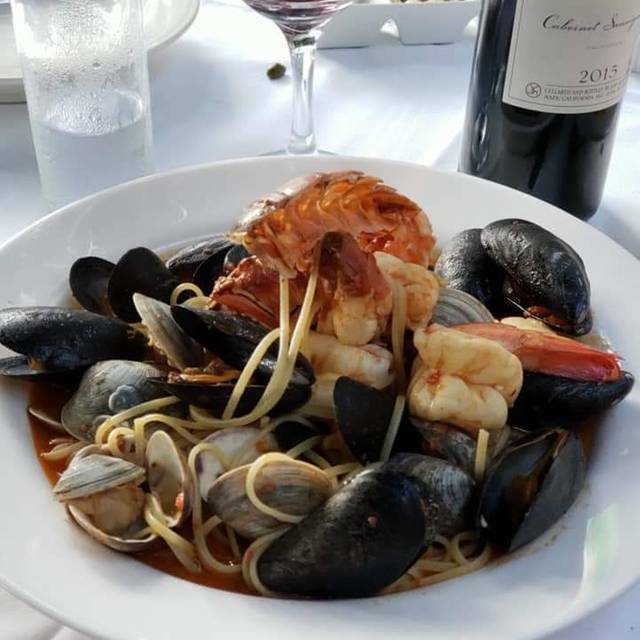 And if you ask nicely, the chef is willing to make you some of your favorite Italian dishes. Most importantly, the food is exceptional. Clearly, this restaurant appreciates quality ingredients executed well. Enjoy! BYOB. NO BAR very romantic with low lighting, candles. Service and food excellent. Liquor store a few doors away so no problem. Some patrons dress well but men with blue jeans & t-shirts also there on a Saturday night. Amazing menu, impeccable service, and marvelous presentation as always! The food was excellent. It's a pretty place, tables are close together which makes it a cozy feel and it has a moderate noise level so conversing is easy enough. Service wasn't bad, but inconsistent. It was either too attentive or not attentive enough during our almost two hours there and then when we were done eating and just looking to relax it almost felt like we were being rushed out even though the place was still half full and certainly no one was waiting for our table. Overall it was very good and we'll be back. My wife and I enjoyed coming to this restaurant.It’s a very relaxing and romantic place.The staff will go out of their way to make you as comfortable as possible. You will always get a good meal here. Great food, service , and atmosphere. Had the pre-fixe Valentine’s Day menu and it did not disappoint. Awesome accoustic duo playing to set the mood. Fresh ingredients and well cooked. Can’t wait to go back. Excellent service, excellent food. Our favorite special occasion restaurant! Stacey- Thank you for the stellar review! The Kitchen and floor staff greatly appreciate your comments! My husband and I went with another couple this past Sunday night. Each of us had a different dinner and we were all very pleased with how good each dish was. The service was excellent. It was very quiet that night which we enjoyed because we could all talk easily. I highly recommend you give it a try. It’s a BYOB and the prices are moderate. We will definitely be back! Make sure your table is away from the music. We had a 6pm reservation. Our waiter was ok but his attempts at being witty were just dry. The food was very good but service left much to be desired. We were there for 2 hours and I never even received a refill on water. The server tried to clear all of our dinner dishes while some in our party were still eating. Dessert felt rushed and for the price of the meal, rushed is the last thing we should've felt. The staff seemed unprepared for their role. They nearly knocked over a glass of wine while retrieving a glass to serve water, we had to ask for bread. Everyone food came out we had to help rearrange the table to fit everything. We have eaten there before and we enjoyed it, this time not so much. We felt the food wasn’t very good and the staff was terrible. Hope they improve or maybe it was just an off night. Food was outstanding. Rice Balls are a must. Chicken and Pork Chops main dishes were well prepared, lots of flavor. Staff couldn't have been more attentive. Dear George, Thank you for the continued support! Our work here is extremely rewarding, and kind words from people like you are always appreciated. I will forward your comments to the dining room and kitchen. Your effort and time for the review was so much appreciated. See you soon for supper, and thanks again. The server bright it the wrong soup. Honest mistake. It was seafood bisque instead of mushroom. My friend told him she is highly allergic to seafood. Then her steak came out with crab meat on top. 🤔 Replaced with a new steak but no apology for almost killing her. The manager joked "they almost killed a woman with nut allergies four times." For a $140 prix fixe meal, I would have expected better and more attentive service. Our server whom they refer to as Captains was very nice and thorough in explaining the menu and specials. I am sure during the warmer months the outside dining would be enjoyable. The size of the restaurant is very deceiving from the outside as it is very small inside. However tables are placed correctly to ensure no one is sitting on top of each other. The food was delicious and perfectly prepared. 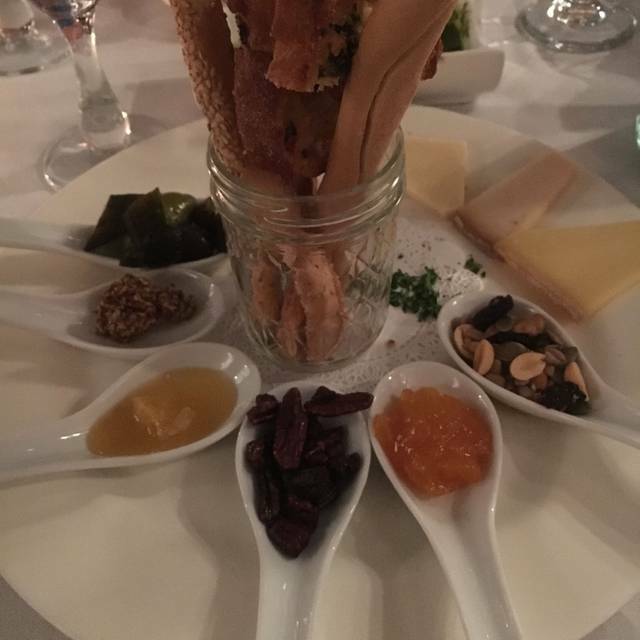 We started with a cheese platter that came with jams, nuts, grain mustard and honey as well as assorted breadsticks. I had the Filet Mignon special that came with crab meat and asparagus. The filet was a perfect medium rare and sine it was Truffle week, they shaved Italian truffle on top of the dish which gave it and extra flavor. My husband had the Pork Osso Bucco which was falling off the bone and very flavorful. Dear Beverly, Our work here is extremely rewarding, and kind words from people like you are always appreciated. I will forward your comments to the dining room and kitchen. Your effort and time for the review was so much appreciated. See you soon for supper, and thanks again. the food was amazing. the staff was super friendly. Overall great experience, can't wait to go back! Dear Meaghan, Thank you so much for the 5 star review. I hope dinner was enjoyable! See you soon for supper, Cheers! Really good night. Thank you to the chef and staff. Dear Larry, Thank you so much for the 4 star review. I hope dinner was enjoyable! See you soon for supper, Cheers! Delicious food, generous portions and a warm atmosphere. We will definitely be back! Dear Michelle, Thank you for the 5 star review! See you soon for dinner! Food was perfect. Service was warm and professional. Dear Friend, Our work here is extremely rewarding, and kind words from people like you are always appreciated. Thank you for the 5 star review! I will forward your comments to the dining room and kitchen. Have been here many times and always have a Great Meal. Brought friends and they loved it too! The service is alway impeccable . Dear Joyce, Happy New Year. Thanks for the continued support and the great review! Dear James, Our work here is extremely rewarding, and kind words from people like you are always appreciated. Thank you for the 5 star review! I will forward your comments to the dining room and kitchen. Everything about La Cipoollina was amazing. The ambiance is warm and inviting, our host and server Chris was attentive and funny, and the food, well that was the star! We started with a plate of tomatoes, mozzarella, eggplant, and peppers and the freshness was outstanding! We also had the sea scallops starter which was absolutely delicious. For entrees we had seafood capellini, French style lobster and shrimp, pistachio crusted sea bass, and one of the appetizers with eggplant and tomato accompanied by shrimp. Each but was better than the last. We left full and satisfied and while we didn’t have dessert, I’m sure it would have been as delicious. The price is just right for being a BYOB while getting a FINE DINING experience in the process. We will be back!! La Cippolina is a hidden gem! The atmosphere was amazing and the food was delicious. I would definitely recommend this place to anyone looking for a nice date night or anniversary dinner. La cippolina is a bit pricy, but it's definitely worth it! Dear Vincent, Our work here is extremely rewarding, and kind words from people like you are always appreciated. Thank you for the 5 star review! I will forward your comments to the dining room and kitchen. It was our annual holiday dinner with very close friends. We were greeted by Andrew who made our evening a success. La Cipollina serves great food. Because we brought wine (they do not have a liquor license), we were able to perfectly match the food we ordered. We began with home made mozzarella and vegetables. Entrees were prepared to perfection, the humor provided by our server. I highly recommend La Cipollina. Dear Steven, Our work here is extremely rewarding, and kind words from people like you are always appreciated. Thank you for the 5 star review! I will forward your comments to the dining room and kitchen. My daughter and her husband accompanied us for dinner to celebrate my wife's birthday. The restaurant wasn't crowded and despite having to park away from the adjacent lot our arrival was uneventful. Our waiter was very attentive, not being obtrusive, but still being personal. We shared the Mediterranean Plate which was delicious. Our entrees were also excellent with not one negative comment by any of us. We ended the meal by sharing the cookie plate and cappuccinos. It was on the expensive side but well worth it for a special occasion. Had the white truffle celebration 6 course menu this past weekend and it was FANTASTIC! Food and service were excellent. Matt was awesome and we’d definitely be back again! Went during restaurant week so value was incredible. Love that it’s a byob. Had an amazing salad with pistachios and the pork chop for my enteee. Desert was a trio of cakes, 1 was better than the next. I highly recommend this restaurant. Be warned, regular menu is pricey. We haven't been here in 15-20years. The menu , food and service is outstanding. The meat was cooked to our request. We couldn't ask for a better dinner. We were served by the chef ,himself, Matt Higgins. We expect to make this byob restaurant a regular thing. This is what a restaurant should be. 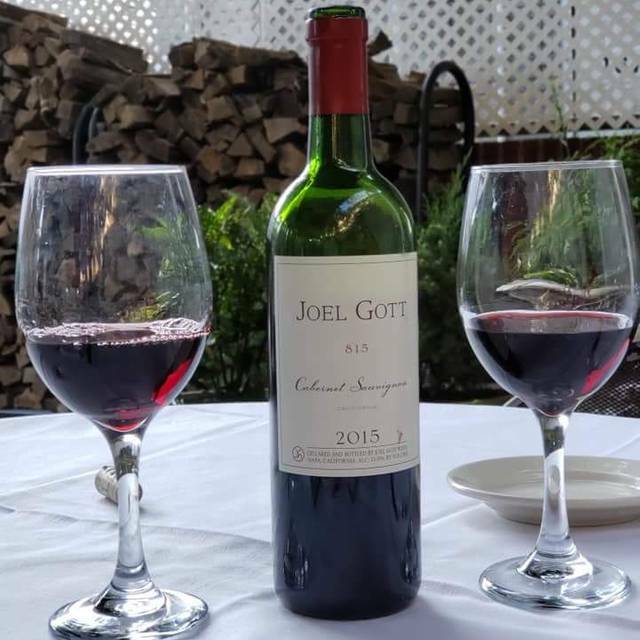 Overall, it was a good experience but would like to mention two things; the restaurant was virtually empty, yet we had to ask the waiter several times to refill our wine glasses ( it was not in our reach). Also the bread was cold and the bottled water was warm so we also asked for ice.. these little things should be anticipated but were not. Thank you.